valentine's florals for this semi-wordless wednesday. speaking of florals...ladies (and men! ), do you like to receive flowers and chocolates on valentine's day? if not, what would be the ideal gift? let me know your thoughts. 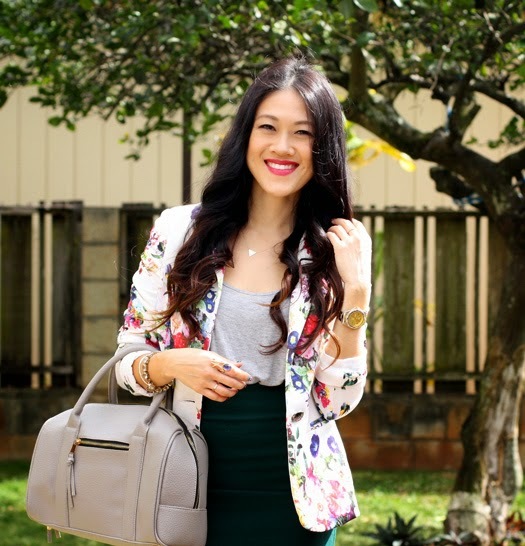 Your floral blazer is perfection, so pretty on you! Oh, Oomphelia... I can't see you dressed up so nice without wishing I were you. I'm still waiting for those body-transfer machines to get invented. i prefer flowers! not a big fan of chocolate, although ice cream would be ok lol. I love ur floral Jacket!! and your lipstick!! Love that jacket and how you styled it! So pretty! What a gorgeous blazer! I will take flowers and chocolate any day of the year! Fabulous blazer. I'm happy with anything I get on V-day or any day. give me a gift card to shop for beauty or clothes! hahaha beautiful blazer and skirt becks. Beautiful outfit. 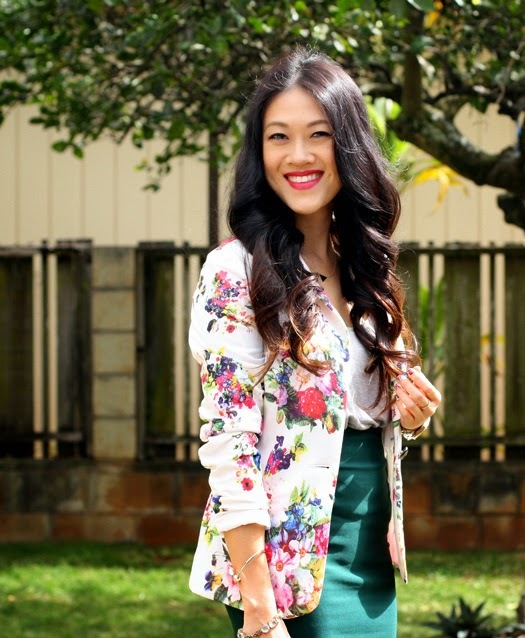 I love this floral blazer and it's contrast with the dark green skirt. Well styled.